Yogurt is a good source of lean protein to help lose weight and manage blood sugar. 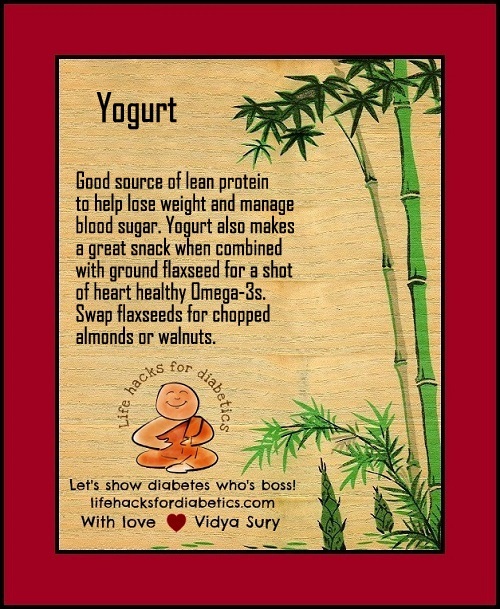 Yogurt also makes a great snack when combined with ground flaxseed for a shot of heart healthy Omega-3s. Swap flaxseeds for chopped almonds or walnuts.